Walking football gets this weeks programme of events underway. The weekly club for the over 55s starts at 10am at the Queen of the South Arena. At 1pm on Tuesday, we will find out who we will face in the next round of the Irn Bru Cup when the draw for the last 16 is made. You can watch it live on the SPFL Facebook page. Fifteen minutes later our Community team have their first school visit of the week. They'll be at Troqueer primary for an hour. And in the evening the youth sides will be in for the first of their training sessions, the second one taking place on Thursday. And with no competitive game this week, the Reserve side have a friendly match at Palmerston against Lochar Thistle. Kick off 7.30pm. On Wednesday the soccer clubs for pre and primary school children take place at the Arena. Pre-school sessions for three to five year olds kick off at half past three until quarter past four for the cost of £3.50 per child per session. With the 90 minutes session for the P1 - P7 kids starting at 4pm for £5. The second school visit of the week takes place on Thursday when the Community team are at Nethermill for two hours from 12.45pm. And on Friday our girls only club takes place. A chance for girls of all abilities to come and experience football for the first time or to brush up on their skills. It's open to girls of Primary school age and takes place between 4-5pm and comes at a cost of £4, again at the Arena. Also on a Friday from 4pm, our reserve manager, Eddie Warwick now runs the Queen of the South Area Squad sessions. Eddie is overseeing the training of twelve invited players from local boys clubs as they take part in squad training in preparation for the Under 14 team trials in a years time. 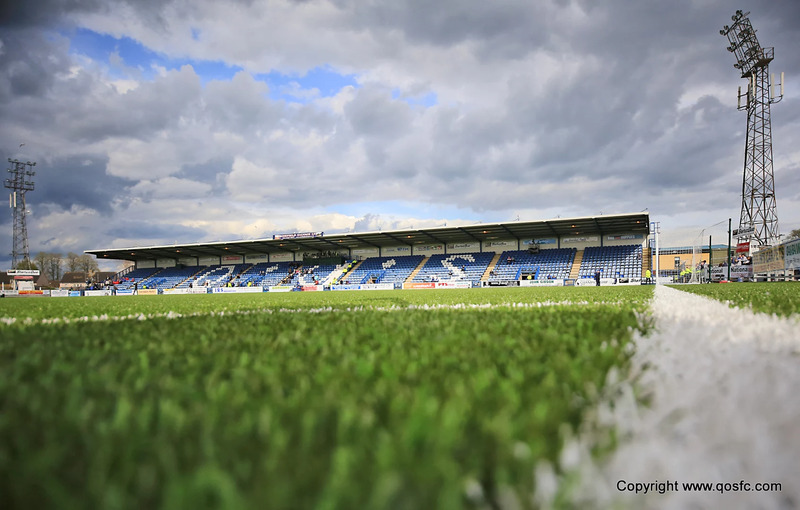 And on Saturday, our busy run of home games continues with the visit of Ross County to Palmerston. The Staggies relegated from the Premiership last season are one of the favourites to take the Championship title this season. But with Queens in free-scoring form it should be an interesting afternoon. Ahead of the 3pm kick off, our Saturday soccer club will be running at the Arena for Primary school children from half past 12. The usual great value of £10 (£8 for Junior Blues) which includes two hours of coaching, fun, games, lunch and entrance to the first teams game.